“OFPRA”: The French Office for the Protection of Refugees and Stateless Persons (OFPRA in French) is a public institution responsible for reviewing the asylum application and taking the decision to grant the international protection or not. The decision taken by the OFPRA can be contested before the National Court for Asylum (CNDA). What’s an OFPRA file ? When applying to the OFPRA, there are two important things to do : the preparation of the case file and the interview. The OFPRA file is the ‘ asylum application form’ that the officer in the prefecture gave you when you went to the one-step service (GUDA). You have to fill it in with all the information about your story. 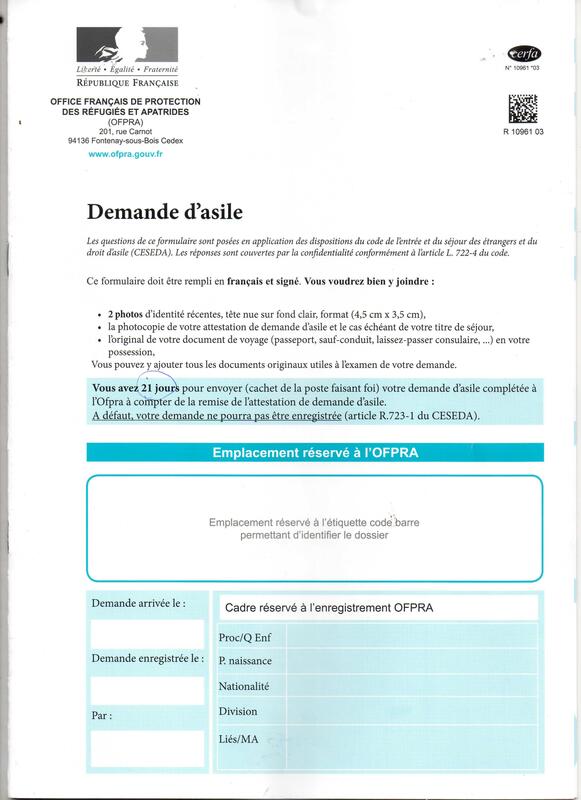 Preparation of the interview: OFPRA can not take a decision regarding an asylum application without interviewing the applicant (except for (case reviews -“réexamens”). During the interview, the OFPRA officer will ask the asylum seeker questions on the basis of the information he/she wrote in his/her file. Even though during the interview the OFPRA officer asks the applicant to explain his/her reasons of fear from going back to his/her country, the written story is essential in order to expose the reasons of fear in details, which must be relevant to the ‘refugee definition’ outlined in the Geneva Convention. As a consequence, it is very important to provide precise and detailed written information in the file. The officer will make the decision by taking into account the global situation in your country and the particular reasons for your fears. The decision depends a lot, however, on your story and the information that you give during your interview! We highly recommend that you read carefuly the information provided in this website about the preparation of your file and about the interview. Important: You must send the file of your asylum application (dossier OFPRA) to the OFPRA within 21 days (from the day you recieved it)! How to fill out my OFPRA file? It is very important to convince the OFPRA that your life is really in danger in your country. For this, we strongly recommend you to ask for the help of a specialized organisation or a lawyer in order to write your application well. – Should be filled out in French. – Should be signed by you. – You should join: 2 identity photos and a photocopy of your ADDA (attestation de demandeur d’asile). – You should join your story (récit), the story about your asylum demand, in which you explain all the reasons of leaving your country in order to come and ask for asylum in France. – in the file you have to explain the language you speak and understand. You’ll get an interpreter for the interview with OFPRA. For example : write “English” or “French” ONLY if you understand and speak the language perfectly. First, you can ask for the help of your SPADA (Reminder : the SPADA is the organisation which gives you an adress if you don’t have a place to live). 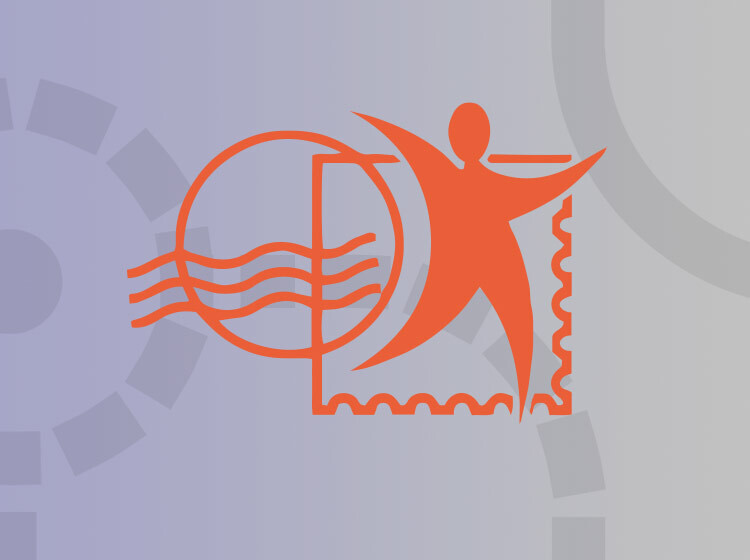 Other organizations that can help you with your OFPRA file : Lists of local centers. Even if you are helped by an organization or a lawyer, it is very important that you carefully read the information provided in this site regarding the OFPRA file in order to understand the procedure. The information you give in your file is very important for being granted the refugee status. How and when should I send the OFPRA file ? 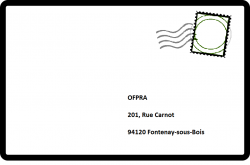 You can either send the file as a registered letter with acknowledgment of receipt (lettre recommandée avec accusé de réception) or take it directly to the OFPRA. It is recommended that you keep with you the photocopies of all your documents (the ofpra file and the documents that you have attached with it). How can I get prepared for the interview at the OFPRA ? You will receive a summons to present yourself for an interview with a protection officer of the OFPRA. > the summons will be sent to you by letter or by SMS a few days before the interview’s date : you must check your letters in your domiciliation centre as often as possible. The date, hour and precisions about the way the interview will take place are written in the letter. You have to present yourself on time the day of the interview. If you are sick or if you have any barring problem which you know will prevent you from going to the interview, you have to inform the OFPRA by fax as soon as possible. 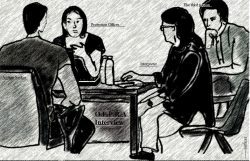 What happens during the interview ? 1/A You will meet a protection officer of the OFPRA. 2/ If you do not speak French, you will be given an interpreter speaking your language, or in another language which the officers may think you understand. 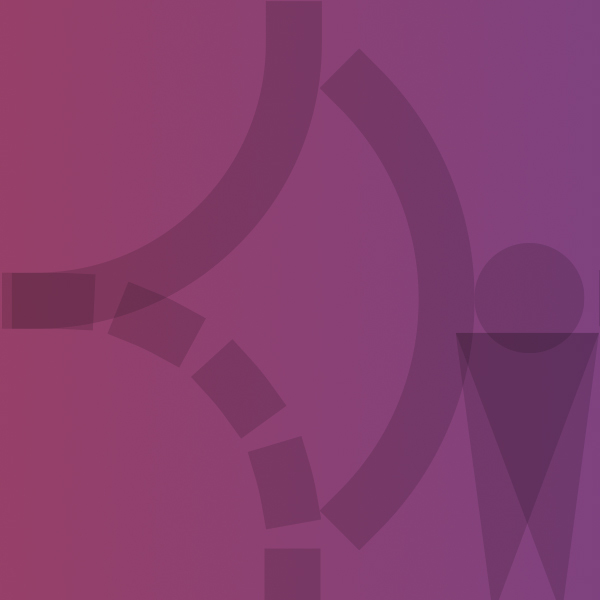 3/ If you want to, you can ask to be assisted by a third person during the interview. Important: This person has to be a member of one of the organisations authorized by OFPRA or a lawyer. 1) The role of the third person: The third person is here to observe how the interview goes on. He/She has no right to take part in the interview, and can not help you answering the official’s questions. 2) If you wish to be assisted, you have to choose the person and take contact with him/her yourself (be a lawyer or association member). 3) If you find the person, then you must inform the OFPRA at least 7 days before the interview that you will be assisted (In case you are in fast-track procedure : then you you have to inform the OFPRA at least 3 days before the interview). How do I get prepared ? The interview with the protection officer is a very important step of the asylum application process. You have to get well-prepared to it. – Check that these facts meet the conditions described in the conventions and the law to grant the refugee status. -Revise your case story before the interview : know perfectly the steps of your story and keep the details in mind, just as you described them in your OFPRA file. -Keep a copy of the documents with you that you have enclosed with your OFPRA file : this will help you reminding every important elements of your story. -Train to keep in mind the important elements of your story, which are : the timeline of the events, the circumstances of you fleeing from your country, the steps of your journey to France. -State clearly the reason why you left and the reason why you do not want to go back to your country. You have to be convincing : in case the official is not convinced, your asylum application may be rejected. Here, is a List of the organizations authorized to assist asylum seekers during the interview at the OFPRA. After the interview : when will I get an answer, and how will I get it ? The OFPRA has to take a decision within 6 months if the file is reviewed with normal procedure. With the fast-track procedure, it will be 15 days. Sometimes the decision takes more time than expected. 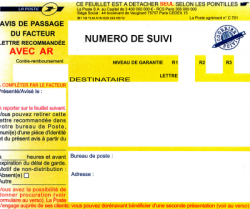 In this case, the OFPRA will send you a letter to inform you of the delay. The final decision will be sent to you by registered letter at your address. So it is very important that you often come and check your mail in your domiciliation center (if possible once a week ). 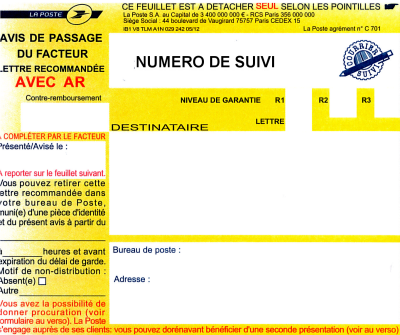 The postman will leave an “Avis de passage” (notice that you have a letter to collect from the post office). With this notice and your certificate of asylum seeker, you have to go to the post office to pick up the registered letter. You have 15 days to pick it up. Otherwise, it will be returned to the OFPRA. The OFPRA decides if France gives you protection : you can be granted the refugee status, or the subsidiary protection, or your application can be rejected. 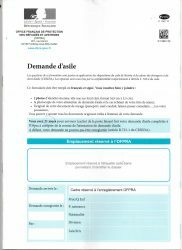 -If the OFPRA grants you the refugee status : you can go to the prefecture, where you can get a residence permit valid for 10 years renewable (read more about it in this section). -If the OFPRA grants you the subsidiary protection: you can go to the prefecture and get a residence permit valid for 4 years maximum renewable.